A celebration of Permaculture, Music and Food! Learn about bees, animal management, biogas, weeds & herbs, seeds & seedlings, fermenting & preserving, soils, percussion & marimbas. 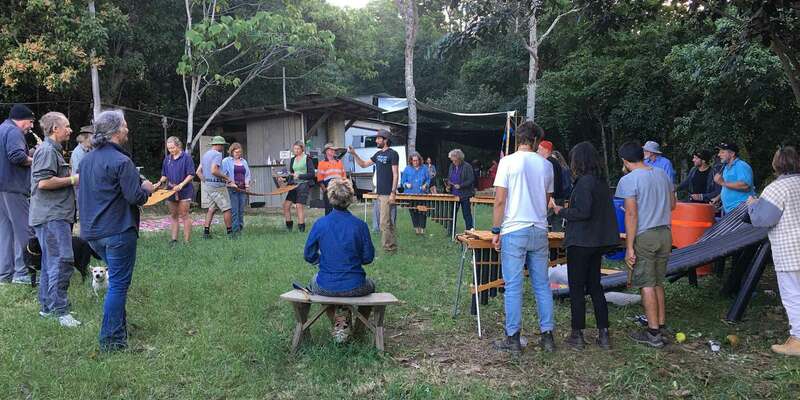 A guided tour of Kendall Permaculture education & demonstration site, home of the PRI Sunshine Coast Inc. Season, day and performance only tickets available. Bookings essential!